Installing nessus on an Ubuntu or any other Linux machine can be a difficult task. So here we bring out a tutorial to ease you out to simplify the task of installing Nessus server. Here we have shown the installation on Ubuntu machine this could be used on nay other debian of linux as well. 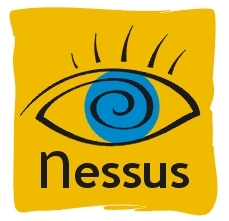 Download Nessus Nessus-4.0.1-ubuntu810_amd64.deb for Ubuntu 9.04 from http://www.nessus.org. (C) 1998 – 2009 Tenable Network Security, Inc.
To run Nessus from the command line you use an option “q” that is for batch mode. This allows running from a terminal and without the GUI interface to the client. Handy if you would like to script or automate your scans. Using batch mode the IP’s that are to be scanned are read from a file. Replace “admin password” in your command with the login and password you chose when you created the user using nessus-adduser. Please do comment if this has been helpful.